DAMASCUS, Nov. 12 (Xinhua) -- As many as 60 civilians were killed or wounded as a result of renewed U.S.-led airstrikes on areas in eastern Syria Monday, state news agency SANA reported on Monday evening. The airstrikes heavily targeted the village of Shafeh in the eastern countryside of Deir al-Zour province in eastern Syria, said SANA, adding that the warplanes targeted residential neighborhoods in the village. The attack on Monday comes a day after two children and two women were killed by a similar attack on the village of Hajin in eastern Deir al-Zour, according to the report. The repetitive attacks have caused the displacement of hundreds of civilians in the eastern countryside of Deir al-Zour, said SANA. 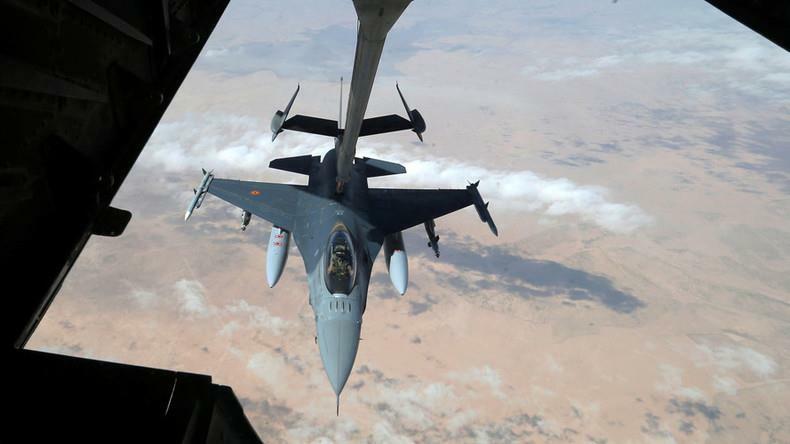 Over the weekend, a total of 41 people were killed by U.S.-led airstrikes, which are targeting the last Islamic State (IS)-held area on the eastern bank of Euphrates River. The United States has been backing the SDF to defeat the IS on the eastern bank of the Euphrates River near the Iraqi border. Airstrikes on this area have recently been renewed as the Kurdish-led groups were planning a second wave of attacks on the IS after a failed attempt on Sept. 10. The Syrian Foreign Ministry renewed in a statement Saturday calls on the UN to form "an independent international mechanism" to investigate the "crimes of the Washington coalition" and punish the perpetrators. The Syrian government has long questioned the intention of the U.S.-led operations in this oil-rich area.